The Mercedes-Benz has long been seen as a mark of luxury and taste; a different breed of car. And if your Mercedes is in an accident, you can’t take it to just any repair shop. A different breed of car needs a different breed of auto body shop, and for more reasons than you might think. Read more below to find out more. Looking for the highest quality collision repair in the Reisterstown and Baltimore area? Contact Auto Collision Specialists at (410) 833-5697 or click here to contact us online! 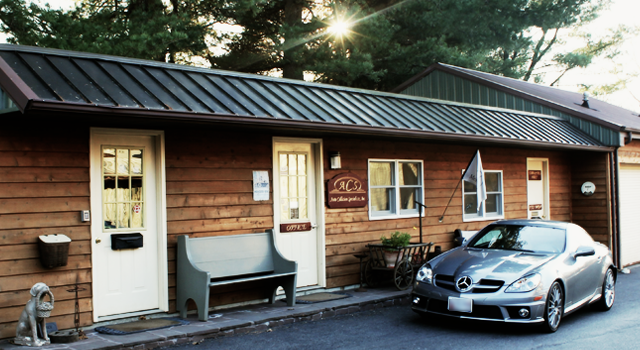 When Mercedes-Benz announced a certification program for the repair of its vehicles, Auto Collision Specialists became the first auto body shop certified by Mercedes-Benz for collision repair, largely because ACS had been insisting on high standards for each and every Mercedes that came into the shop. For example, a non-certified auto body shop might try to cut corners with non-OEM, or original equipment manufacturer parts. This not only can mean a repair bill higher than it should be, it can actively put you and your family at risk; auto body repair is about returning the car to its state before the collision. Non-certified work can fail, and sometimes at the most dangerous moment. At ACS, every repair is done with parts manufactured and certified as genuine Mercedes-Benz replacement parts. No exceptions. Ever. Back in the old days, “auto body repair” meant banging out dents with a hammer. Now, it requires specialized tools to true the frame of your Mercedes, check the chassis for damage and stress problems too small for the eye to see, and give your Mercedes a complete stem-to-stern check-up before putting it on the road. Our fixture bench is built from the ground up to offer accuracy rarely seen outside of the assembly line at a Mercedes factory. Hammers need not apply; we have the latest equipment, carefully maintained and studied by our team, to ensure that your Mercedes is restored as much as possible to its condition before the crash. ACS’s standards extend not just to its parts and equipment, but to the professionals using them. Not only are the technicians at ACS certified by Mercedes, using the techniques and concept the company has developed during the engineering of their vehicles to guarantee the best possible repair, they also hold certifications from the National Institute of Automotive Service Excellence, better known as ASE, and The Inter-Industry Conference on Auto Collision Repair, or I-CAR. They’re not just trained to fix a Mercedes, they’re trained to inspect every car carefully for damage and issues that may not be immediately obvious to a standard mechanic. That means your Mercedes comes back repaired right, and repaired safely. Finally, what makes ACS distinct from so many other auto body shops is that there’s more than just an invoice behind the job done in the shop. 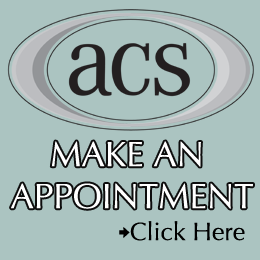 ACS was founded in 1980 to be a better kind of collision repair shop, and it’s a business that has stayed in the family for nearly forty years. There’s a certain pride that comes with knowing a repair has not just you, but a family history behind it. If you need collision repair on your Mercedes, whether it’s a ding in the supermarket or damage to the whole car, call ACS. We’ve got the certification, the training, the tools, and most importantly the history to ensure your Mercedes can keep on the road.